CEO Zuckerberg is already facing plenty of troubles across the globe, including questions about Russian interference on Facebook during the 2016 election. At home, in East Palo Alto, residents say he and his company are causing high rents and displacement. EAST PALO ALTO, Calif. — Adrian Bonilla lived in a shared house in this Silicon Valley town with his wife and two grandchildren until this year, when the rent for their bedroom jumped to $1,200 from $900 a month. Bonilla attributed that rise to Facebook, which is based nearby and was growing. 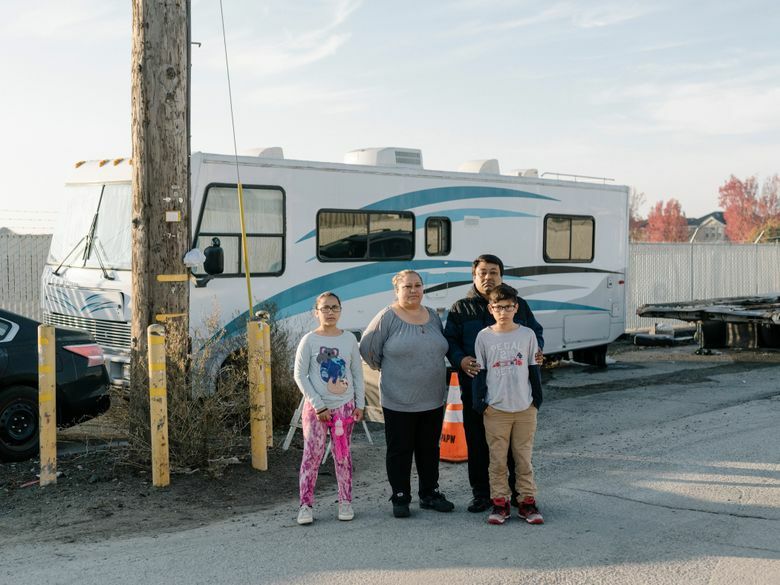 So Bonilla, 43, a mechanic and Uber driver, bought a 1991 recreational vehicle and joined a family-oriented RV community on a quiet cul-de-sac. His family lived there until last week, when Bonilla received an eviction notice. This time, Bonilla said, the reason he had to move was because the city wanted to clear the way for “the Facebook school.” That school is funded by the Chan Zuckerberg Initiative, a limited-liability company set up by Facebook co-founder Mark Zuckerberg and his wife, Priscilla Chan, to work on social-change endeavors. Chan is a co-founder of the school, a private institution for low-income children called the Primary School. Zuckerberg is already facing plenty of troubles across the globe, including questions about Russian interference on Facebook during the 2016 election. The skirmish between the couple’s initiative and the RV community, which city officials said was becoming a flood hazard, is a reminder of how the billionaire also faces difficulties on his own doorstep. 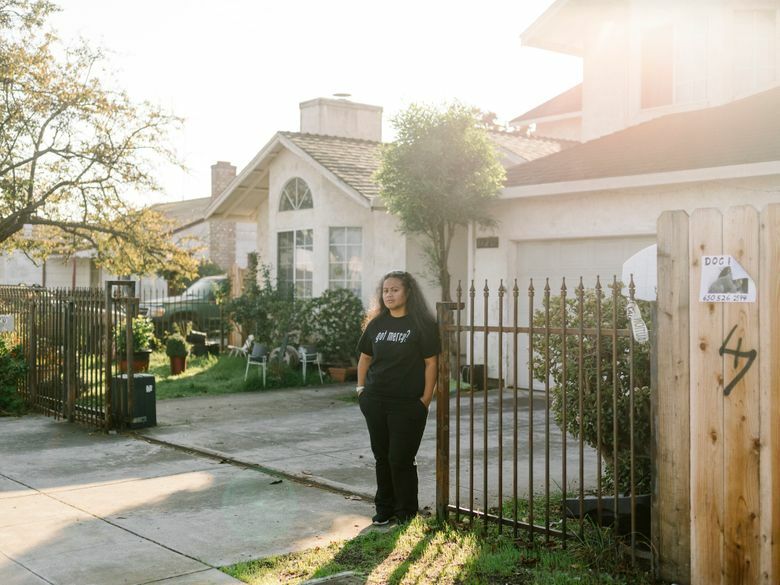 For many in East Palo Alto, just blocks from Facebook’s headquarters in Menlo Park, California, no CEO and company have come to embody the anxieties of the modern tech boom more than Mark Zuckerberg and Facebook. At a meeting last Wednesday at East Palo Alto’s City Hall, about 100 residents and protesters gathered with city staff to discuss their housing, and some invoked Zuckerberg’s name. Wherever Zuckerberg goes in Silicon Valley, he seems to generate a housing problem. In 2014, after the tech mogul bought a house in San Francisco, neighbors complained about construction, his security detail, the parking and how his presence would inflate prices. This year, protesters marched in East Palo Alto to denounce the displacement of residents because of big tech companies like Facebook. Community members expect more tension this month at an East Palo Alto town hall hosted by Real Community Coalition, a local citizens group, and featuring Facebook. At the meeting, residents will have the opportunity to ask Facebook executives about the company’s role in the community. “Connections are at the core of everything we do at Facebook and our relationship with residents of East Palo Alto is no different,” Juan Salazar, a public-policy manager for Facebook, said in a statement. The social network has been lobbying to build more housing in the region, which Silicon Valley cities, worried about traffic and preferring a commercial over residential tax base, have fought. In East Palo Alto, Facebook has invested $18.5 million in the Catalyst Housing Fund, an affordable-housing initiative; the company has set a goal to grow the fund to $75 million. The Chan Zuckerberg Initiative, which is also writing grants for affordable housing, said working with local communities was “core to our work.” In a statement, the Primary School said the episode with the RV residents was “frustrating and emblematic of larger housing issues in the Bay Area,” but that it was not aware of East Palo Alto’s action to evict those residents and had not engaged with city officials on the matter. East Palo Alto’s residents have long felt disempowered against change brought by tech leaders like Zuckerberg. A 2.6-square-mile town where one-third of the schoolchildren are homeless, it has stood as a sign that Silicon Valley’s wealth might not spread to those beyond its tech campuses. And so even as Zuckerberg’s limited liability company seeks to build a school, many residents are skeptical. Paul Bains, a pastor and president of Project WeHope, a local organization funded by the Chan Zuckerberg Initiative, said the initiative needed to figure out how to interact with wary residents. “They have to learn how to communicate with communities of color,” Bains said. The recent evictions at the RV enclave were not requested by the Chan Zuckerberg Initiative, said Donna Rutherford, an East Palo Alto City Council member and a former mayor of the town. Instead, city officials said the area had become a flood hazard as rains were coming and the vehicles had spilled wastewater into storm drains. “Let me just walk you through the gross part,” said Michelle Daher, an environmental-management analyst for East Palo Alto, heading to a storm drain last week where she said 6,000 gallons of waste from RVs had to be pumped one day. Daher pointed out the future site of the school, an empty lot surrounded by a chain-link fence. “This obviously is the Chan Zuckerberg location,” she said. She added that the flood-prone street would be rebuilt for the school, so the RVs would have had to move in any case. Patricia Lopez, 48, who owns a home on the street where the RVs were parked, said the trouble for the RV residents began after a community meeting that Facebook executives attended. “They didn’t introduce themselves, but the organizer said, ‘Facebook is in the house,’ and they waved. And ever since then, it’s been heavy harassment, heavy policing,” she said, which ultimately led to the evictions. At last week’s meeting, residents and protesters expressed support for the school but anxiety over the Chan Zuckerberg Initiative. “The first step is to make sure quasi-affiliated supposed philanthropic organizations don’t set the policy,” said Johannes Muenzel, 28, a software engineer who is the co-chairman of Silicon Valley’s Democratic Socialists of America chapter. By 11 p.m., protesters and city staff were getting agitated and tired. Eventually, the Public Works and Transportation Commission recommended that city staff pursue a long-term solution for the RV community by working with nonprofit organizations and by looking into a ban on oversize vehicles parking overnight. Facebook said a senior executive attended the meeting. Nearly 50 community members spoke that night. The Facebook executive did not.